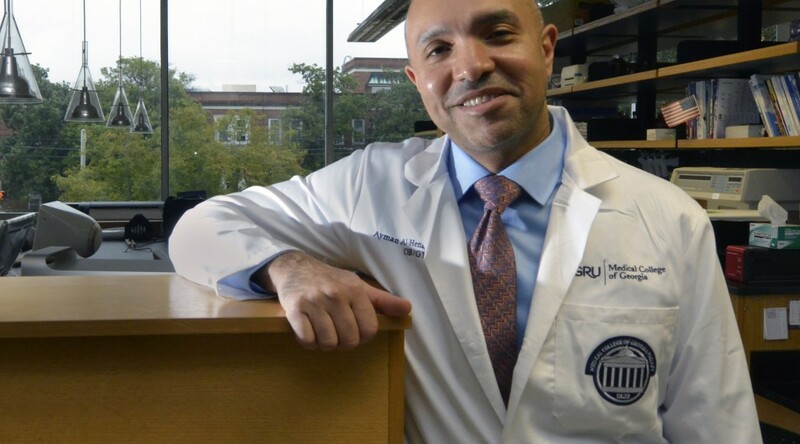 AUGUSTA, Ga. – Dr. Ayman Al-Hendy, an obstetrician-gynecologist and molecular biologist at the Medical College of Georgia at Georgia Regents University and GRHealth, has received two top honors from the Society for Reproductive Investigation. The President’s Achievement Award honors a junior society member with an outstanding record of scientific investigation and a promising research career. The Rogerio A. Lobo Award, which honors the former society President and Editor-in-Chief of the journal Reproductive Sciences, recognizes outstanding contributions to reproductive sciences by a society member. Al-Hendy was honored during the society’s 62nd Annual Meeting in San Francisco this week. He has been a member of the society, formerly known as the Society for Gynecologic Investigation, since 2001. Al-Hendy, who came to MCG last year from Meharry Medical College and Vanderbilt University Medical Center in Nashville, is Director of the MCG Department of Obstetrics and Gynecology Division of Translational Research and GRU’s Director of Interdisciplinary Translational Research. 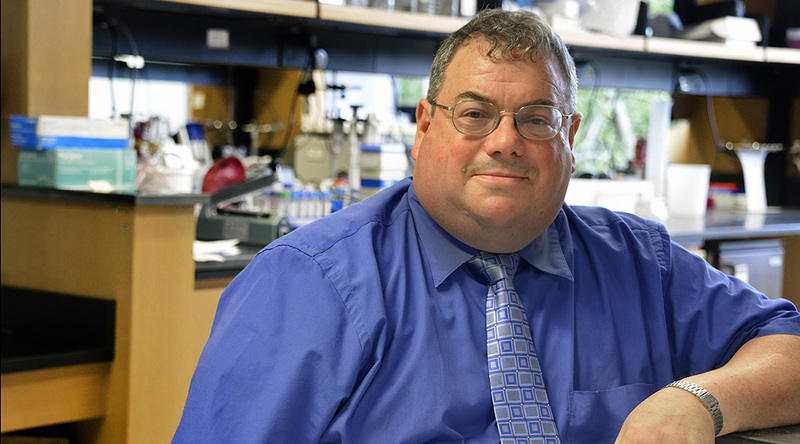 His clinical and research interests include improving women’s health care and eliminating disparities, gynecologic endoscopy, and research in reproductive genetics, stem cell biology, and gene therapy. A major focus is fibroids, uterine growths affecting up to 75 percent of women, which can complicate pregnancy and cause excessive bleeding. Al-Hendy is pursuing non-surgical treatment of these typically non-cancerous tumors, which thrive on estrogen and progesterone. He has found that fibroids also tend to thrive in a low vitamin D environment and is pursuing use of the widely available vitamin supplement as a treatment/prevention strategy. Parallel basic science studies are looking at the genetics of why the tumors thrive without vitamin D. Al-Hendy is also a principal investigator in clinical trials looking at drugs that block the progesterone receptor, which, like estrogen receptors, are common in fibroids. He is a member of the American Society of Reproductive Medicine Research Committee, Chairman of the society’s Health Disparity Special Interest Group and a former Chairman of its Fibroid Special Interest Group programs. He has served on numerous National Institutes of Health Special Emphasis Panels and Study Sections, which most recently includes serving for five years as a Full Member and currently as Chairman of the Integrative & Clinical Endocrinology and Reproduction Study Section. AUGUSTA, Ga. – A drug already used to treat breast cancer may be an effective fertility treatment as well for women with polycystic ovary syndrome, physicians say. A national study of 750 women with PCOS, a condition affecting 5-10 percent of reproductive-age women, showed rates of ovulation, conception, pregnancy, and live birth were all higher in women taking letrozole than in those taking the usual front-line medication clomiphene, according to a study in the New England Journal of Medicine. Diamond, a study co-author, participated in the trials while at Wayne State University. 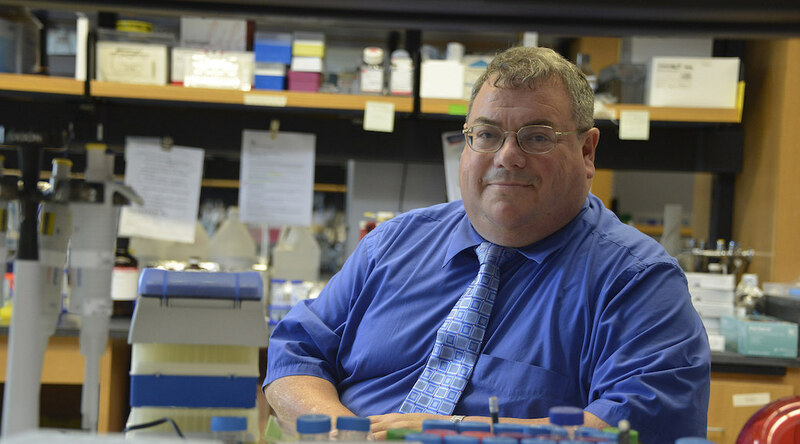 Dr. Richard S. Legro, reproductive endocrinologist at Penn State College of Medicine, is the study’s corresponding author. In fact, women taking letrozole had a 44 percent better chance of having a baby than women taking clomiphene, the authors wrote, surmising that letrozole may assume clomiphene’s front- line fertility treatment status for these women. The safety profile on both drugs, including the common infertility treatment risk of multiple pregnancies, was similar. Study participants, age 18-39, were followed for up to five treatment cycles at a dozen centers across the nation. The primary outcome researchers were looking for was a baby. Constantly elevated estrogen levels mean women with PCOS essentially don’t ovulate, Diamond said. Higher-than-usual testosterone levels produce other disease hallmarks such as excessive body hair, acne, and a tendency to be overweight. Letrozole, an aromatase inhibitor, blocks the usual conversion of testosterone to estradiol, the most potent form of estrogen, so the woman has low estrogen levels and the brain thinks it’s time to tell the ovaries to ovulate. Clomiphene, a selective estrogen receptor modulator, blocks estrogen receptors in the brain so it thinks estrogen levels are low and prompts ovulation. AUGUSTA, Ga. – Dr. Michael Diamond, reproductive endocrinologist and Chairman of the Department of Obstetrics and Gynecology at the Medical College of Georgia at Georgia Regents University, this week is chairing a U.S. Food and Drug Administration Panel regarding the practice of morcellation of uterine fibroids to enable easy removal through small incisions. In April, the FDA discouraged the practice because of the potential for cancer spread from morcellation of undiagnosed uterine malignancies. The follow-up public meeting of the FDA’s Obstetrics and Gynecological Medical Devices Panel is set for Thursday and Friday in Washington. An estimated 1 in 350 women who have a hysterectomy to remove the uterus because of fibroids or who have surgical removal of just the fibroids, called a myomectomy, have a previously undiagnosed uterine cancer, according to the FDA. Use of the technique, laparoscopic power morcellation, can result in spread of cancer to the abdomen and pelvis and worsen long-term survival, the April 17 FDA recommendation states. Health care providers and patients should consider alternative treatment options for symptomatic uterine fibroids, according to the FDA. Diamond is also GRU’s Vice President for Clinical and Translational Sciences and MCG’s Associate Dean for Research. 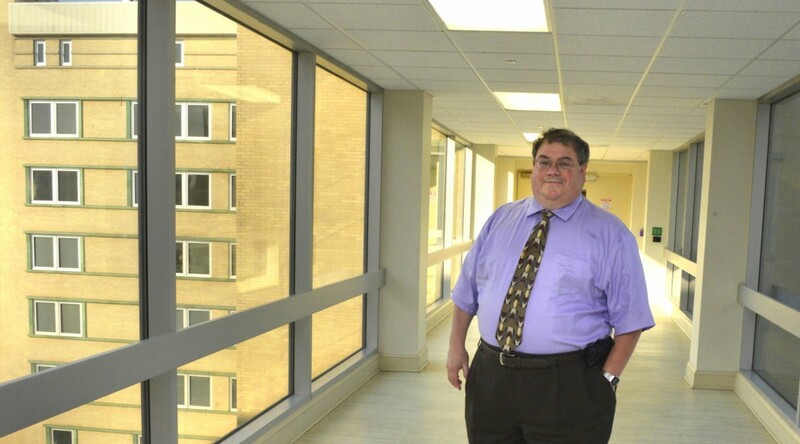 He is serving his fourth term as a consultant to the Obstetrics and Gynecological Medical Devices Panel of the FDA’s Center for Devices and Radiological Health.